Exterior is 17.10in.L x 18.7in.W x 19.7in.H. 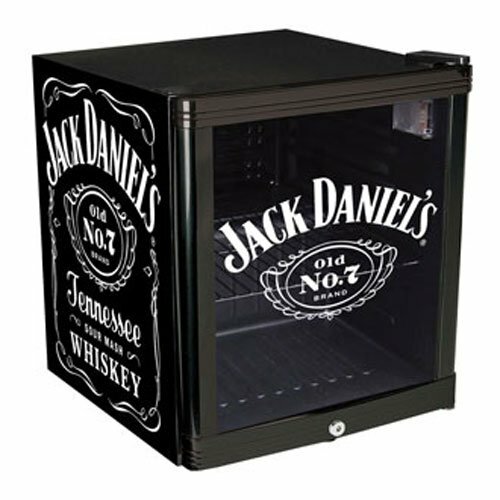 Nostalgic Jack Daniel's® Beverage Chiller easily holds a case of your favorite beverage. In addition to the old school charm of a double-layered locking glass door adorned with JD graphics, this unit features the ever-famous JD graphics on both sides. 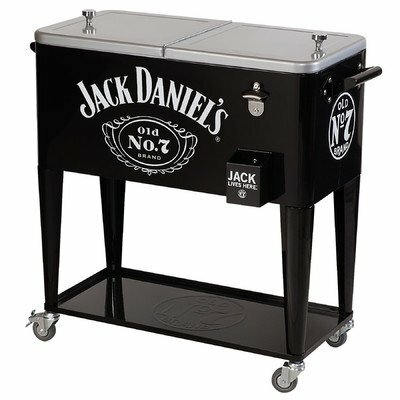 Up-to-the-minute features include adjustable cooling levels, an interior light and an adjustable shelf.